Excellence as a Construction Program Manager includes accuracy, transparency, best-in-class tools and management practices, consistency, and reliability, just to name a few. 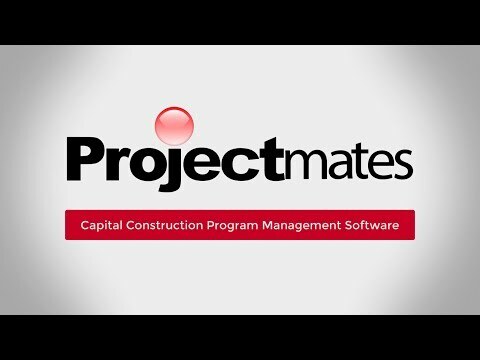 Projectmates delivers a wealth of benefits to meet the ever-changing needs of construction program managers, their clients, and their dynamic project teams. As a CPM, you need a solution that is flexible enough to accommodate the broad range of clients you work with across multiple industries. Projectmates is the right software tool for you. Build trust with project stakeholders by staying on top of the schedule, managing all aspects of the project efficiently, and keeping costs under control. Projectmates includes a wealth of feature-rich modules, including Punch Lists, Schedules, RFI, Photo Documentation, and Custom Forms. This allows project managers to focus on managing projects, not paper. A completely web-based solution, Projectmates connects team members in real-time. This way, everyone is always on the same page with little room for excuses on missed deadlines. Whether developing or managing real estate in retail, healthcare, public or private sectors, you need a single solution to meet the pressing demands of your organization. Projectmates provides a single interface to manage various project types from small $50,000 to large multimillion dollar projects. The software is extremely configurable for various construction types and captures key project information, such as client, region, construction type, and phase. Templates can be created for different degrees of complexity and also for each branch so that new projects will automatically be setup appropriately. For repetitive projects that are similar in scope, Projectmates offers complete project copy functionality based on user access and other security restrictions. It's important to define project requirements and scope, to set guidelines for team members, and to establish criteria for success with the client. With Projectmates, you have an expansive array of feature-rich modules where details such as budget and scheduling can be created, modified, and tracked from inception to completion. Clients can participate on your software platform to the extent you want. All applicable team members can also enjoy 24/7 access, an audit trail, a history log, and version control. It's been a pleasure to deal with the folks at Projectmates and the support they offer for their product. In the fast paced world of large Program & Project Management through to the construction efforts and/or multiple projects across many sectors, Projectmates gives our company the flexibility we sought utilizing a robust, user-friendly platform at fair and reasonable price. Why did we choose Projectmates versus their competitors? Because Projectmates meets and exceeds our needs of keeping our clients both large and small and all the stakeholders and vendors all on the same page in actual time."